Welcome, friends, to our 18th Annual Detroit Tigers Baseball Outing Sunday. 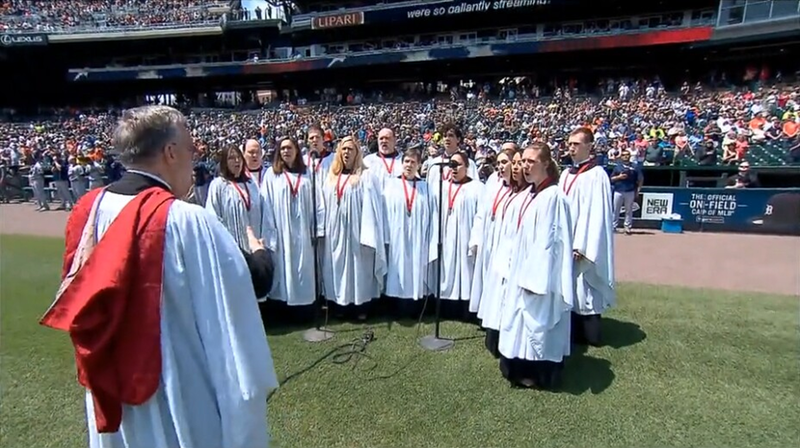 What a wonderful day it is to worship AND to head over to the Detroit Tigers game too! 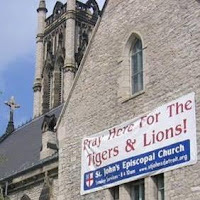 When I first arrived here in 2001, we had that great banner on the Church proclaiming “Pray Here for the Tigers” which garnered much attention for the Church. For the first few years it was met with some mocking and derision because the Tigers were pretty bad (and in 2003, one loss short of worst record bad). “Praying doesn’t seem to be helping, Father”, I would hear. But of course, as with all prayer, there is no guarantee of outcome. By 2006, when the Tigers made it to the World Series, again the banner was featured as evidence that Detroit Fans were so hard-core that even the Church was in on it. Now our signboard displays a similar message. The banner and the sign board are an invitation for people to join us for prayer. But we do pray for the Tigers organization because they are our neighbors, and one way that we “love our neighbors as ourselves” is to pray for them. And if you have been to our Pray Here for the Tigers Service before the first game of the season, you know that those prayers extend to the players, coaches, concession staff, parking attendants, and all in the neighborhood involved with the organization. This year our outing is earlier than usual. The only Sunday games in May are Mother’s Day (not a great day to invite guests to a game) and Memorial Day weekend (when a military related anthem singer has been scheduled). This pushed us back into April….but who would have thought in January when I scheduled this that April would be so cold and wet? I am glad we have come to this day to worship the Lord and to have fun. And there are 11 more Sunday games for you to buy tickets on your own and come to Church before the game. You’ll get the best pre-game activity (worship) and parking space in town!